I’m delighted to welcome Swedish author Camilla Grebe to Author in the Spotlight today. 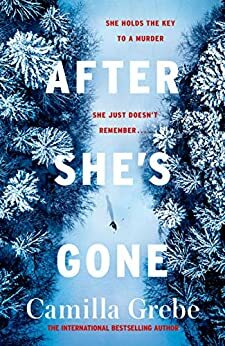 Her newest novel After She’s Gone was published in hardback and as an ebook last week by Bonnier Zaffre. At the time if writing, the Kindle version is a tiny 98p and from reviews I’ve read, if you are a fan of Scandi Noir, that would be 98p very well spent! You can order a Kindle copy here or it should be available to buy or order from your usual book retailer. Thanks for joining me Camilla. First of all, could you tell me what inspired you to start writing? In 2004, I started writing with my sister, Åsa. We’re both absolutely fascinated by crime literature. We grew up together in a house filled with books and started reading early. Our parents read a lot of classical Swedish crime-literature, such as Sjöwall-Wahlöö (A husband-and-wife team of detective writers, who wrote a series of ten novels about detectives from the special homicide commission in Stockholm in the 70s. They started a trend of realistic crime-novels.) As soon as we started to read, we entered the world of crime and thriller fiction, and never stopped. In 2004 I got the idea to start writing a thriller with a female therapist as the main character. I mailed the first chapter to my sister and said. “Let’s write a book. Here’s the first chapter – now you write the next one!” At that point in time, it was something we did entirely for fun. We enjoyed our little game tremendously, but never thought about the possibility of actually being published. After submitting the manuscript to six major publishing houses in Sweden, we heard back from three of them. They all wanted to publish the book, so we choose the largest and most influential publishing house. This is now ten years ago, and I have written eleven books since. After She’s Gone is about criminal profiler Hanne Lagerlind-Schön, who suffers from early onset dementia. She and her partner, investigator Peter Lindgren, travel to the small, sleepy industrial town of Ormberg, where a refugee camp has been set up. They investigate a cold case: ten years earlier a five-year-old girl’s remains were found in a cairn near the town. But Hanne’s dementia starts creeping back again, so she keeps a diary noting down everything she is likely to forget. Then one stormy evening, Hanne is found wandering around the woods of Ormberg – lost, hurt and confused – and Peter is missing. Hanne has no recollection whatsoever of the events that evening, but her diary is found by a local teenage boy, Jake, who starts his own investigation of the case. With a glass of Bordeaux and a good book! I’m working on the fourth novel in this series (for lack of a better word, it’s not really a series). It’s a story of a serial killer who commits a number of murders over a very long period of time. We meet three policewomen who investigate the crimes during the 70’s, 80’s and in present time. I was inspired by Michelle McNamaras true crime book I’ll Be Gone in the Dark, which isabout the Golden State killer. It was just so touching to read about all these investigators who chased this killer, how they got old, were retired and replaced by new dedectives while the killer was still at large. Using three female investigators during different time periods is also very interesting, because I can zoom in on interesting subjects such as equality (or the lack thereof) and how crimes like this affect people and communities for generations. I read A LOT of crime novels! I think it makes me a better writer and I try to keep updated on new releases. One of my favourite writers is British author Belinda Bauer. 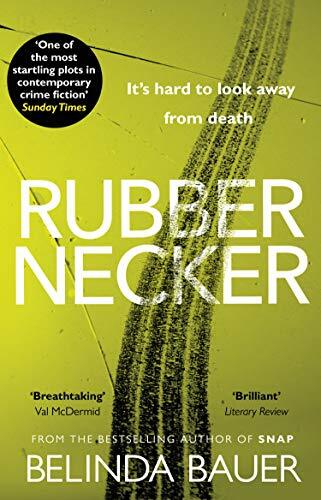 I love everything she’s written, but if I have mention one, it would be Rubbernecker. I also really like Gillian Flynn and Irish novelist Liz Nugent. 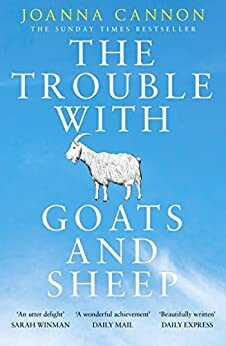 I’m reading The Trouble with Goats and Sheep by Joanna Cannon. Anything by Belinda Bauer, I love her writing! I’d love for After She’s Gone to become a film. 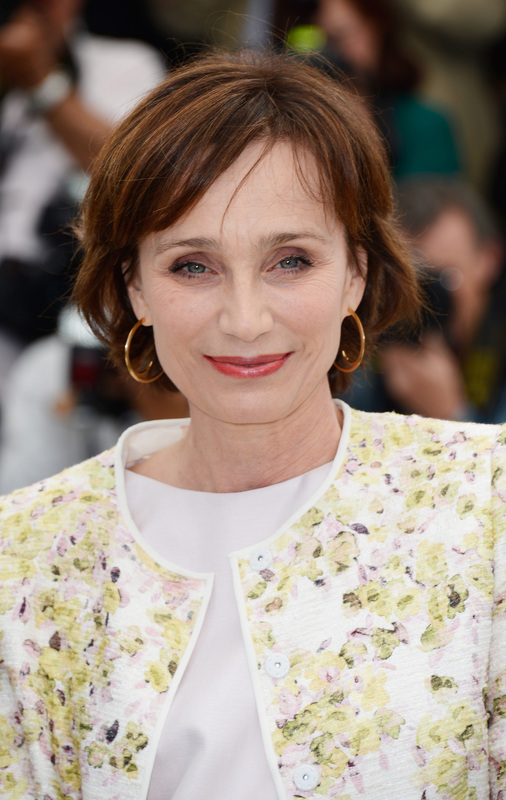 Kristin Scott Thomas could play the part of Hanne, Keira Knightley the part of Malin and Swedish actor Rolf Lassgård the part of Manfred. I’m on Instagram, Facebook and Twitter under my name: Camilla Grebe. I tend to be most active on Instagram, though. And finally, if you could be a character in any book you have written, who would it be and why? Camilla Grebe was born in 1968 in Alvsjo, Sweden. She holds a degree from the Stockholm School of Economics and was a co-founder of the audiobook publisher Storyside. With her sister about Åsa Träff, Grebe has written five celebrated crime novels, the first two of which were nominated for Best Swedish Crime Novel of the Year. Grebe is also the co-writer of the popular Moscow Noir trilogy.